Cruise terminal taxis and transfers service is a part of Holla private hire taxis. 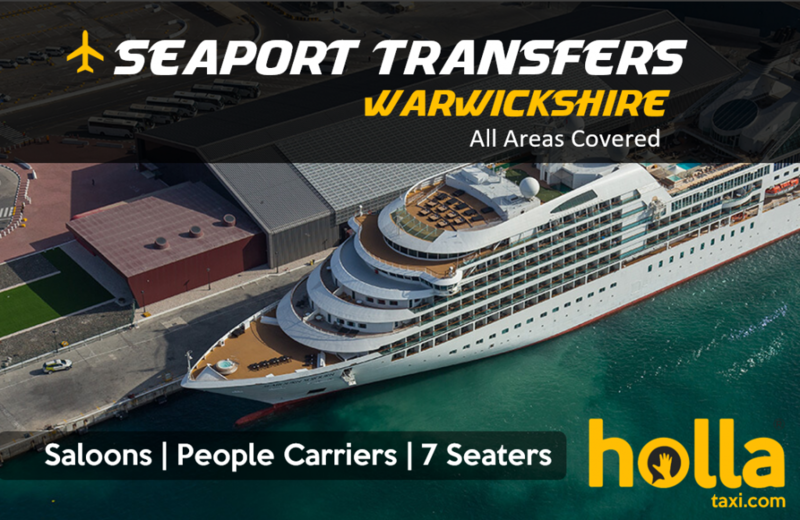 You can enquire about our cruise port service that takes on transfers from Coventry to Southampton docks. We at Holla taxis are experts in Airport Transfers, Seaport Transfers, Ferry port transfers, Long distance taxi service. Airport Taxis & People Carrier MPVs From Coventry to Dover Cruise terminal Taxi Quotes to & from Heathrow, Gatwick, Stansted, Manchester, Luton, London. Mercedes Viano or VW Caravelle or Mercedes Vito or VW Transporter or similar. These can accommodate up to 6/7 passengers plus 7 suitcases (20-30kg max) or 7 passengers plus hand luggage. The Airport Taxi prices depends upon the distance of travel aswell as the amount of passengers & if another vehicle is required. Ideal for Cruise Terminal Taxis from Coventry. BMW Estates, Skoda estates or similar. These vehicles are able to accommodate up to 4 passengers with 4 suitcases with the weight of (20-25kg max) or you can opt for 4 passengers with hand luggage only. If there is more luggage you will be required to book a larger vehicle. The Airport Taxi prices depends upon the distance of travel aswell as the amount of passengers & if another vehicle is required. Ideal for Cruise Terminal Taxis from Leamington spa.